The atmosphere at the Bell Complex in Brossard was electric on Saturday evening. The reigning Clarkson Cup champions, the Canadiennes look towards a repeat this season- taking it one game at a time, starting with this first game against a revamped Boston Blades. The Blades came in top shape, ready to compete. 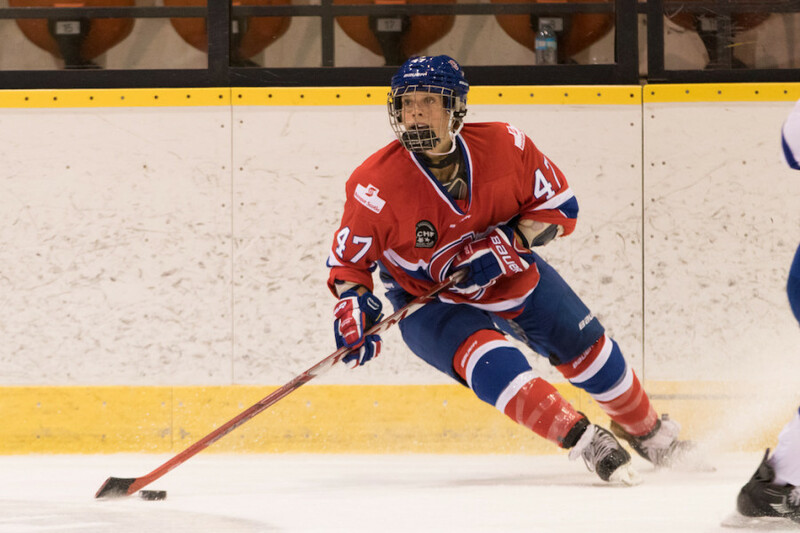 Despite dominant offense from the Canadiennes who put their first shot on net just 20 seconds into the first frame, the Blades beat them to the scoreboard with a goal from forward Michelle Ng. Just over five minutes later, Bettez put the Canadiennes back in the game with her first of the season. That goal sent the teams into the intermission tied 1-1. 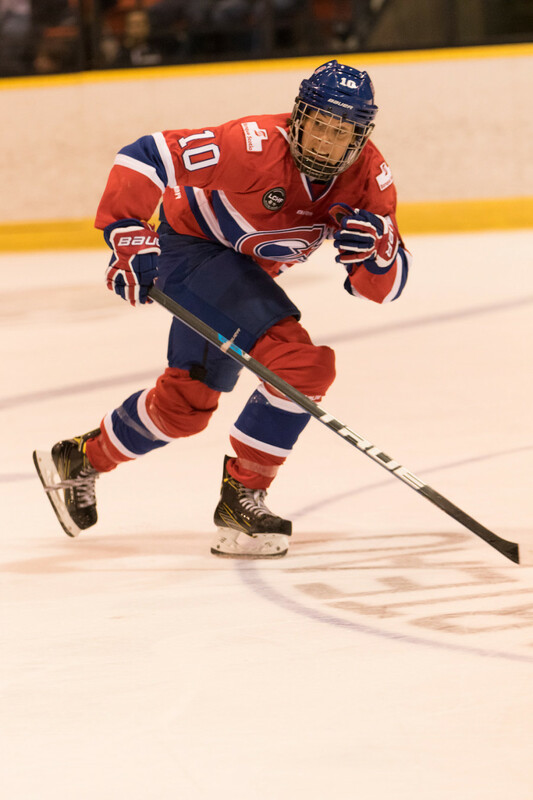 The second period saw three more Canadiennes goals, Bettez netting her second of the game, with additions from Melanie Desrochers and Karell Emard. Desrochers also earned herself a total of four penalty minutes this period, with a delay-of-game minor for sending the puck outside the glass, and a minor for illegal body checking. 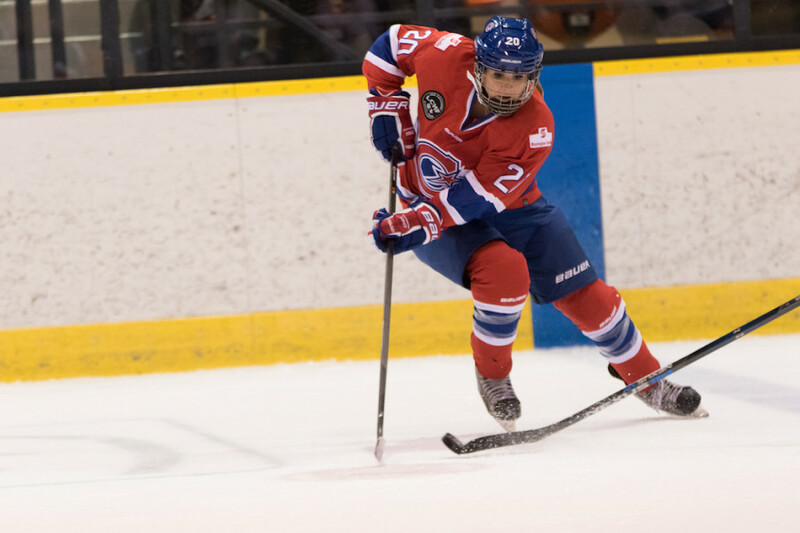 The Canadiennes totalled 14 penalty minutes to Boston’s six. Even with four goals on the board in the first two periods and an obvious dominance in the offensive zone, coach Dany Brunet is still not satisfied. A little over six minutes into the third period with the score 4-1 in favour of the home team, Boston’s Kate Leary shortened the lead to 4-2. Shortly after, a scrap occurred in the Canadiennes net, proof of rising tension between the two teams. With just over five minutes remaining in the game, Boston sees a goal denied on a net knocked askew. Not even ten seconds later, Montreal’s Kayla Tutino was sprung on a breakaway, putting the puck top shelf, sealing the fate of the Boston Blades. Although this isn’t the win they wanted, it’s still a win and they’ll take it. For some, this was their first regular season game with the team. Among the new faces is Concordia alumni Tracy-Ann Lavigne, who was drafted by the team in the eighth round of this year’s CWHL draft. Goaltender Emerance Maschmeyer also got her first CWHL experience under her belt in tonight’s game. Maschmeyer put on an excellent show, stopping 17 of 19 shots faced in tonight’s game, proving she definitely has what it takes to fill the shoes of former Canadiennes starting goalie, Charline Labonte, who announced her retirement late this September. Overall, it was a successful night for the team, despite the minor setbacks. The team looks for more success Sunday as they take on the Blades for a second time at Montreal’s Complexe sportif Claude-Robillard.